Best Hunting Arrows 2019: Shooting the best hunting arrows is very much important for a bowhunter. Carbon Arrows are robust and have more accuracy. 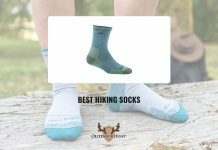 Also, they are trustworthy and used widely in the field of hunting. Here, in this post, we will provide you complete details about Best Hunting Arrows in 2019. Which is the best type of shaft? Wood: Since ancient times, humans have used wood shaft arrows for hunting. However, if you are a traditional longbow hunter or modern caveman, then you may not be using wood shafted arrows. These arrows are heavier, slower, and difficult to generate the resistance which a compound bow demands. Aluminum: For a long time, aluminum is being used by hunters for bow hunting. Aluminum is widely used because it is cheap, lightweight, firm, and it can be machined or ground to severe tolerances. The weight of an aluminum arrow is more as compared to carbon arrow with the equal spine. In today’s era of high-speed bows, several hunters still use a heavier aluminum shaft to shift bows energy with more effectiveness. Carbon: Carbon arrows came into existence in the 1990s, since then they have become popular worldwide. Most of the bowhunters nowadays use carbon shafted arrows. 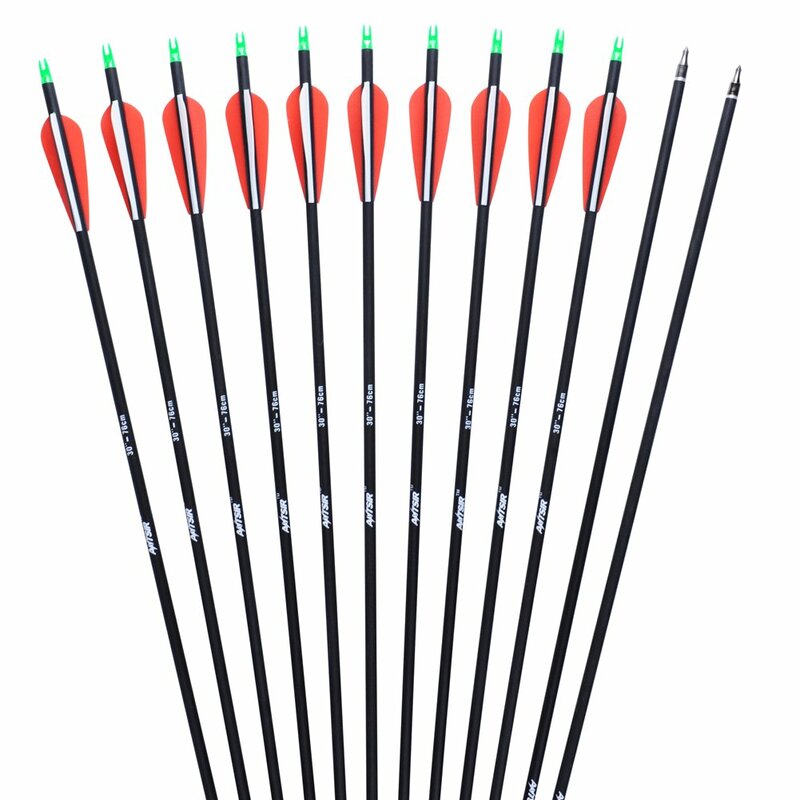 Carbon arrows are widely used because they are lightweight, have the capacity to handle more tolerance as compared to aluminum arrows, provide great speed, more accuracy, and great penetration. 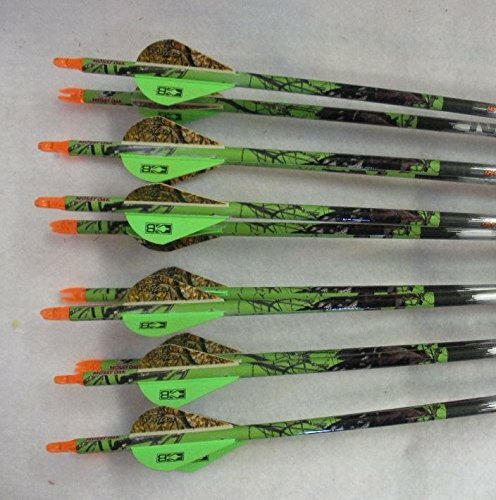 Carbon arrows are the most well-known arrows in the hunting industry. Here, the perfect arrows are believed to have straightness tolerances between 0.001 to 0.006 inches. It is fact that straighter the arrow, more costly it will be. All the manufacturers perfectly measure each arrow just after the production line and separate them on the basis of straightness. All the arrows are categorized on the basis of the straightness. Premium arrows fall under 0.001-0.002” range, mid-range arrows fall under 0.003-0.004” and lastly standard arrows fall under 0.005-0.006”. Maxima Hunter is one of the quickest and most precise carbon hunting arrows developed by Carbon Express. This is great news for hunters who want to move arrow speed and bestow destructive impacts into the target at further ranges. All the Maxima arrow hunters are bestowed with proprietary dual spine construction known as “weight-forward” technology. The front part of the arrow is heavier as compared to the rear. The arrow consists of a durable Mossy Oak finish over 2/3 of the shaft 2″ bright red Blazer vanes which make it look similar to an awesome arrow. 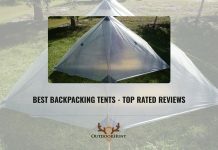 It is the best arrow available at affordable price. Wonderful graphics, awesome specs, and strong construction register Gold Tip Velocity Valkyrie itself as an amazing bowhunting arrow. It is built-in using factory four-fletch configuration, and its lightweight Velocity structure increases speed without killing strength because it is made of Pure Carbon Technology. Arrow consists of +/- .003 inch straightness and +/-.5 grain weight tolerances. 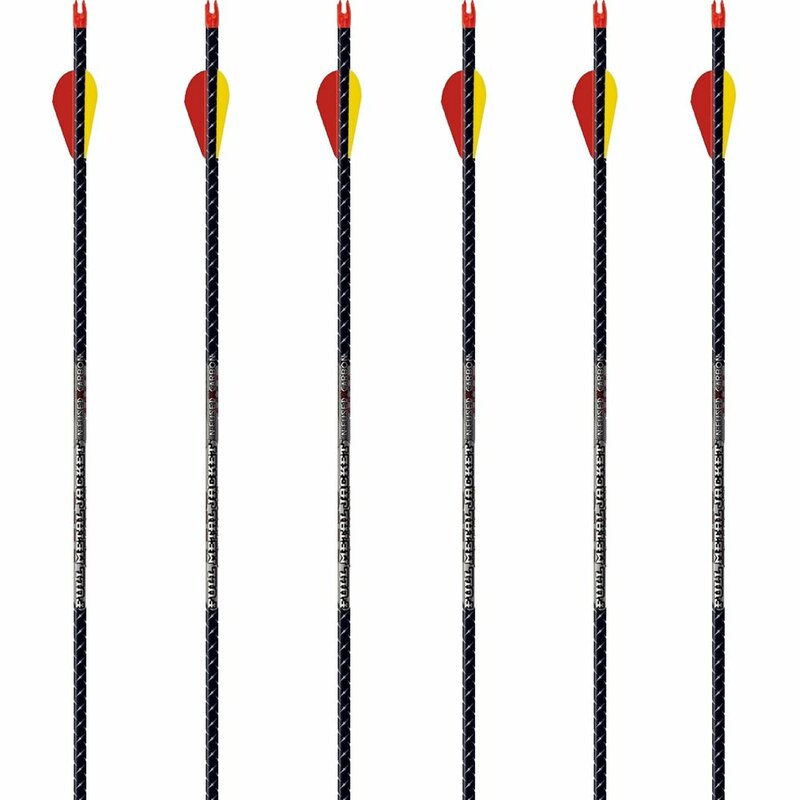 The arrow is available in 5 spine offerings mainly 300, 340, 400, 500 and 600 in order to cover all the bow setups. The four-fletch configuration expands back-end drag for quick stabilization, diminishing group sizes to 75. 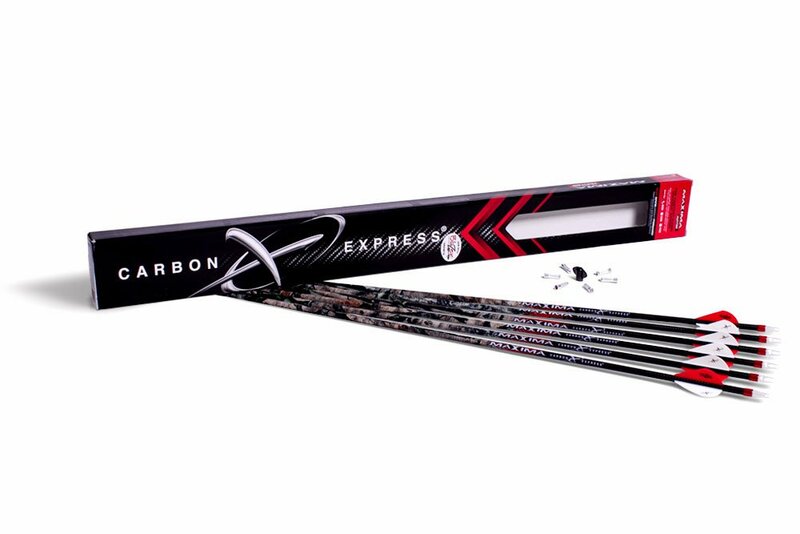 Maxima Red is yet another awesome hunting arrows by Carbon Express. The arrows are particularly developed to offer broadhead performance and accuracy. This is obtained by developing stiff ends which contain in-flight flexing of the arrow. Apart from this, dynamic spine is effectively controlled to such an extent that only 2 point sizes are required to meet draw weights from 40 to 81 pounds. The Shaft straightness is perfectly measured and provides a tolerance around +/- 0.0025 inches. Other awesome features of arrows include LAUNCHPAD nocks, BullDog Collars, and Blazer vanes. Collars are added to protect the nock. The arrow is being liked by users worldwide. It is mainly a small diameter arrow for hunters who like a heavier arrow. They fly straight and cross the wind quickly. Easton FMJ arrows contain a small diameter along with a thicker carbon fiber. The shaft is covered with a metal allow, which makes “metal jacket”. The concept behind developing this arrow was that the metal decreases friction in flight, and it is easier to pull. 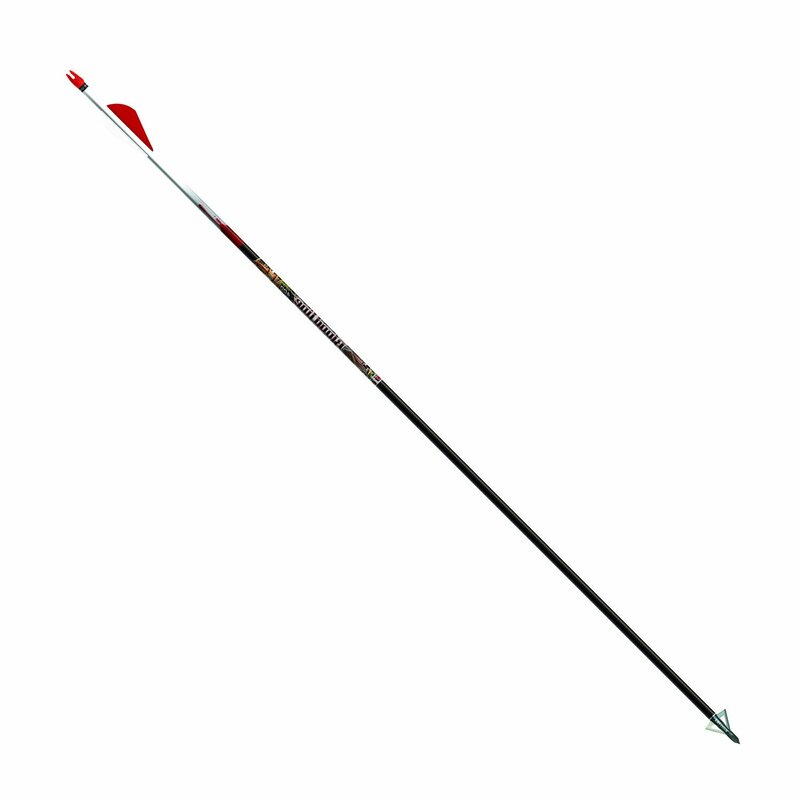 It is one of the most popular arrows available in the market. Victory Archery VAP TKO provides great tolerances. Starting from the VAP Low-Torque line, the TKO Elite offers +/- .0001-inch straightness. It consists of 100 percent-carbon MaxxKe structure and offers micro-diameter shaft intended to hit perfectly. A 45-degree carbon weave decreases the twisting forces shifted from bow to arrow when fired. Hence, the shaft recovers more quickly as compared to conventional designs to enhance flights. Also, it consists of Victory’s Nano Ceramic ICE coating which adds stealth, Penetration and easy target removal. It is mainly available in 350,450, and 550 spines, and consists of built-in hand-fletched for optimal feather adhesion and alignment. Maxima Blu RZ is a lightweight hunting arrow created by Carbon Express. The arrow provides maximum speed along with accuracy. The arrow shafts are created using proprietary cross-weaved carbon material known as Diamond Wave. The carbon weave produces an extremely stiff arrow which has good spine consistency. In the box, you will get straightness tolerance of +/- 0.0025 inches, and a weight tolerance of +/- 1 grain. The arrows are fixed with firm’s special Launchpad nocks with BullDog Collars to shield from effects to the ends. 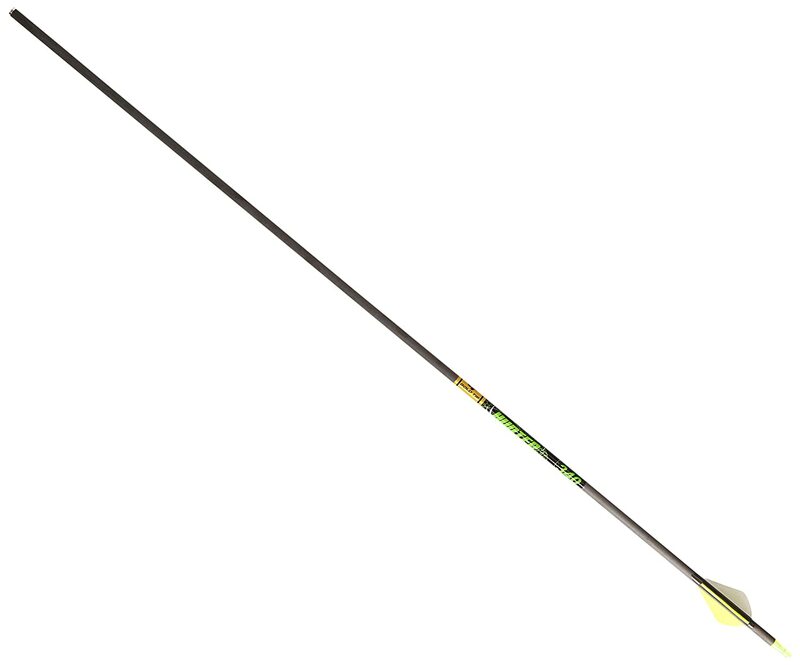 Hunter XT is one of the bestselling hunter arrows by Gold Tip. It provides amazing accuracy, stability, and performance. It is a strong and reliable arrow, which can endure practice sessions and deer hunting sessions. Hunter XT 400 possess weight grain of 8.2/inch along with a tolerance of +/- 2 grain in each and every pack of dozen arrows. Apart from this, XT’s are specially hand sorted and examined to a shaft tolerance of +/- 0.003″. Here, arrows already come with 2″ Blazer Vanes, hence you have to cut the shaft down to the shooting length and cover the inserts which come with the package. Bloodline offers extremely amazing hunting arrows, particularly if you love lighter shafts. The tradeoff in weight is built to provide velocity, which is a good combination for bowhunting. The Shafts consists tolerance of 0.04 inches and weight tolerance of 0.5 grain. Arrows look awesome because of red H nocks and red/white Blazer vanes. Bloodline arrows are one of the finest mid-range choices for people looking for cheap carbon hunting arrows. Here, you will receive 12 hunting arrows at a price of 6 premium arrows. Whether you possess a compound or recurve bow, Antsir Outdoors Carbon will nock smoothly and shoot perfectly straight in all the conditions. These arrows are best for a beginner as well as an intermediate. Its diameter is 7.8mm and weight of 1.2 pounds. 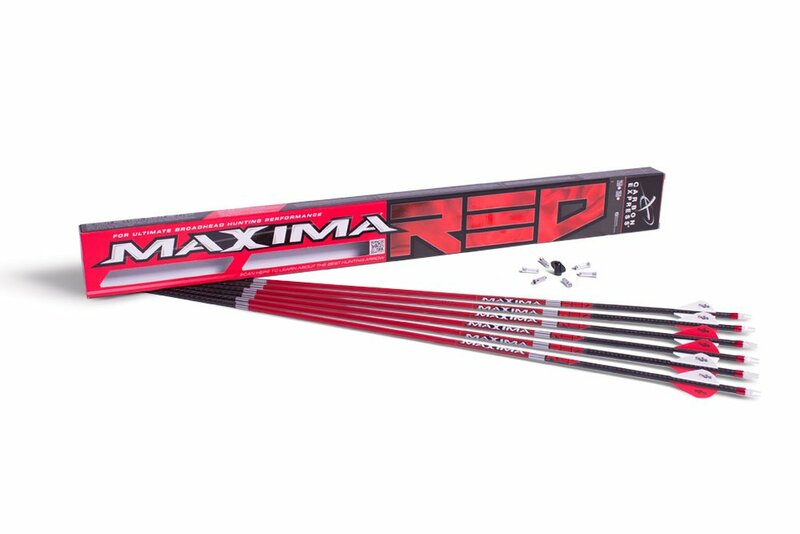 All the arrows contain lightweight carbon shafts, enhanced wall thickness for increased durability. The arrows work well for both practice sessions and for hunting. Here, nocks are actually not fixed by glue but can be adjusted based on your bow. Hunter Pro consists of extraordinary tight tolerances. The shafts are straight with a tolerance of 0.01 inch and weight varies by 0.5 grains per inch. If you want arrows with great tolerances, then go for Gold Top Hunter Pro. If you don’t bother about the price and want to expand your shooting skills, then these are the arrows you need. We hope that you liked our collection of Best Hunting Arrows for 2019. 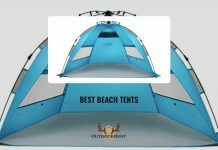 If you found this collection helpful, then please share it with your friends and followers. 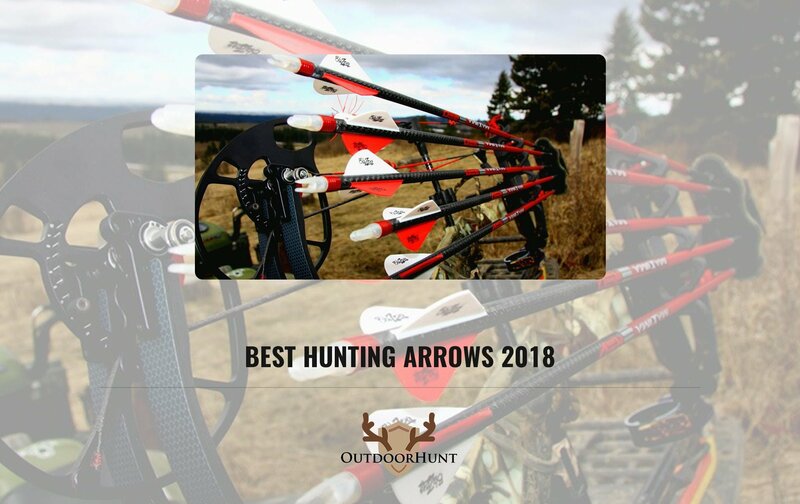 Best Hunting Arrows 2019 Includes Carbon Express Maxima Hunter, Gold Tip Velocity Valkyrie, Carbon Express Maxima Red, Easton Full Metal Jacket, Victory Archery VAP TKO Elite, Carbon Express Maxima Blu RZ, Gold Tip Hunter Pro, Antsir Outdoors Carbon & Easton Bloodline.